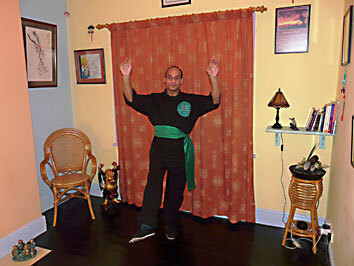 Tai Chi allows you to experience a deeper level of relaxation. Improve your health without the need to strain. Suitable and adaptable to all levels of fitness. Helps to ease, release and revitalise a tired mnd, muscless and joints. Relaxes, strengthens, rejunvenates, energises the mind and body alike. The Mental and physical learn to work as one, with practice an array of over two hundred artistic, holistic flowing movements, soon become a part of you, creating greater flexibility, strength and balance. A complete work-out without the need to strain!!!! Is simple to learn, it allows you to experience a deeply relaxing, meditive calming feeling. and 8.00 pm to 9.30 pm. Thursdays - St. Mary's Church Hall, Elloughton - 10.00 am to 11.30 am. 11.00 am to 12.30 pm. 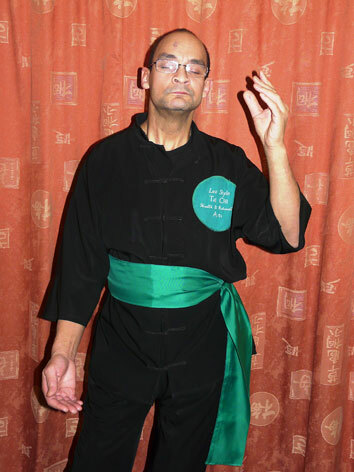 Tai Chi has been an integrated part of the Chinese culture for thousands of years, they have devised a system of therapeutic holistic exercise that work the whole of the body without the need to strain, relaxing body and mind alike. We in the west seem to accumulate physical and mental stresses creating such problems as back, shoulder and neck strains to name a few. Then there’s the emotional pressures a fast paced modern lifestyle brings upon us. So what do we do about it? We thrash ourselves from pillow to post and just about get by! Tai Chi is a series of slow, graceful, deeply relaxing and yet dynamic movements that creates greater flexibility and suppleness to the whole body, improving posture, balance and co-ordination. People who practice Tai Chi regularly find stress levels reduced and better nights sleep. There are also the deeper more meditative aspects that can be attained. But of course is in accordance to the individuals needs. You can go into a Tai Chi lesson feeling jaded and at the end of your tether and leave relaxed, revitalised and without a care in the world. All of the exercise movements are complimentary to other sporting systems. They can be practised by people of any age and any level of fitness. Individual needs are always catered for. So give yourself some quality time, allow yourself to gently unwind, relax your mind and body, enjoy the Tai Chi experience. A warm and friendly atmosphere awaits you. I have practised this ancient art for about 20 years teaching for 14 years. 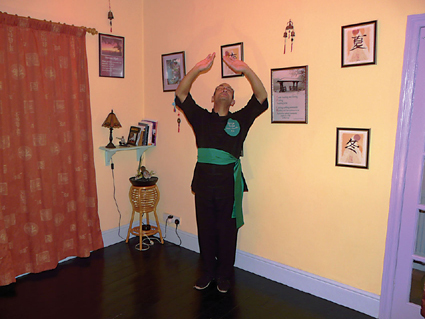 I now teach full time with many classes in and around the Hull areas, I have also converted the front room of my house in Willerby into a Tai Chi studio for those of you who require or prefer a deeper more personal Tai Chi experience.